Home Lifestyle Home Garden & Tools Understanding Renewables – Which Energy Source is Right For You? Understanding Renewables – Which Energy Source is Right For You? Which Energy Source is Right For You? Renewable energy is a term familiar to many, but what does it really mean? The media regularly discusses renewable energy resources and how we cannot rely on fossil fuels in the future. If we continue to do so at the current rate, soon we will deplete the energy resources we have counted on so far, such as coal, oil, and gas and be left with nothing. The question, therefore, is how do we avoid this catastrophe? The answer is renewable energy. Utilizing these sources of power provides a clean, simple way to fix the problems caused by fossil fuels and their use. You can make the switch to solar power, wind energy, hydropower or any of the other renewable power resources that are available to us now and really make a difference to the health of our planet. 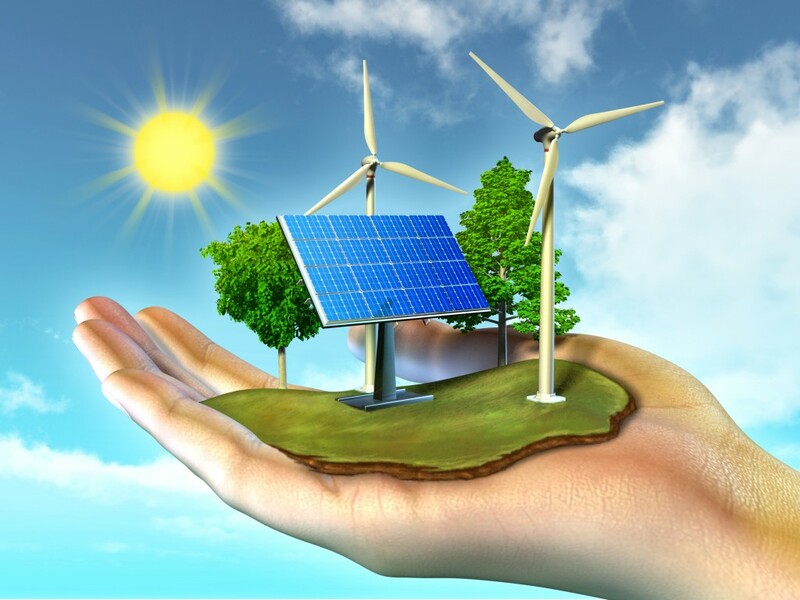 Continue reading to learn more about the different renewable resources available today and how you can decide which energy source is suitable for you. How Do Renewable Energies Work? What Advantages Does Each Energy Source Have For the Individual? There are several different types of renewable energy sources that we are currently available in Australia. We have the power of harnessing these various types of sustainable energy sources in order to power our homes and businesses just as we do today without damaging the planet. Non-renewable sources of energy like fossil fuels will eventually decrease as the amount of these available resources naturally deplete through use. They will also, therefore, become more expensive to obtain and we will cause more harm to the environment not only through their employment but also by destroying natural habitats in order to find more. Renewable energy sources, on the other hand, are naturally occurring and constantly replenished in our environment. These consist of wind, solar, hydroelectric, geothermal and bioenergies. Each form of renewable energy works in a different way. Essentially, renewable energy works by harnessing the movement of water and wind, the light and the heat produced by the sun, the natural warmth of the Earth and the carbohydrates which plants produce. To better understand how renewable energies work, let’s take a quick look at each individual renewable energy source. Solar energy: Sun-powered or solar energy is used to generate electricity or heat water through various tools which harness the sunlight and heat. Wind energy: Wind turbines collect the energy given off by the wind, the faster the wind speed, the more output is increased. Hydroelectric power: Water energy is collected in rivers and streams through the speed of water flow. Geothermal energy: Thermal energy derives its power from the temperature of the Earth and decaying radioactive materials below the surface. Bioenergy: Biomass is produced through the growth of plants and organic matter in the earth which is harnessed as bioenergy to produce electricity, transport fuels and chemicals. Within the realm of renewable sources of energy, few are available for everyday use. There are many companies and governments working on increasing their use of sustainable energies but at an everyday level, it is more difficult to maintain a lifestyle dependent solely on renewable energy resources. Although hydro installations are available in smaller sizes, it is uncommon for people to be able to use them on a home-by-home basis as there is the need for a flowing body of water that generates enough energy to create electricity. Similarly, wind energy is reliant on large wind farms which are often built offshore or in high altitude areas in order to gather the most energy from the strongest winds. Neither of these kinds of energy systems are commonly used individually. Solar energy is a different matter however as prices for solar paneling, also known as photovoltaics, are decreasing and the industry is growing quickly. This means that solar power is fast becoming more readily available for everyday households and could be the best choice for individual use. Geothermal energy is only available to large energy plants who have the capacity to access the necessary resources. Finally, the biological materials needed to use bioenergy can be found almost anywhere and used by anyone but, more often than not, on a small scale because the resources needed to extract biofuel or to produce enough biomass to create the energy necessary to heat a home or workplace are simply not obtainable on an individual basis. Knowing what your options are in terms of renewable energy, will help you to make an informed decision when choosing how to power your home. When choosing an energy company, look at their commitment to renewable energy and go with a provider who is taking a proactive approach. Consider installing solar in your home and utilize the energy of the sun for your power needs. You can also utilize bioenergy at home, even if it is on a smaller scale. Make smart choices when it comes to energy, lower your energy bills and do your part to protect the future of our planet.